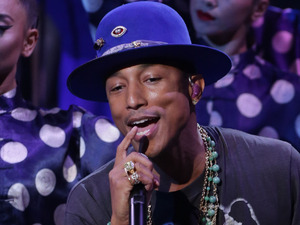 Pharrell Williams has been working with Adele on her highly anticipated new album, and now he’s shared a few details about his experience with the singer. 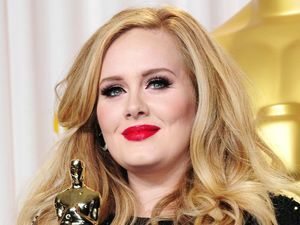 The ‘Happy’ singer described Adele as a “masterful writer”, but said that even he only gets a very short amount of time with her as her priority is spending time with her son Angelo. He told Ryan Seacrest at Cannes Lions 2015: “I’ve seen her recently. She’s kinda like, ‘OK guys, I’m gonna open my diary for 20 minutes’. So it’s like, OK, you have 20 minutes, or 32 minutes really. Back in April, Emile Haynie said that Adele is “taking her time” over her third album, which is thought to be called 25. As for the woman herself, there’s still no word from Adele on when we can expect the follow-up to 2011’s 21.